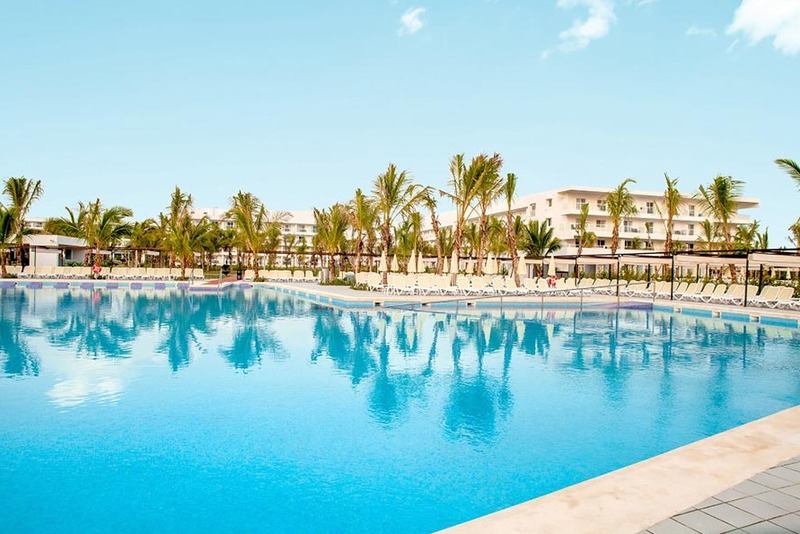 The new adults-only Riu Republica opened on Arena Gorda beach, Punta Cana in June 2016. Highlights of the resort include the brand’s popular 24-hour all-inclusive service, two infinity pools, and a variety of dining options including a steakhouse. All 1,000 guest rooms at the new Riu Republic feature minibars, liquor dispensers, and balconies or patios. Jacuzzi suites will have a whirlpool bath on the balcony or patio. Meals will be served buffet-style, with live cooking stations and special theme nights for dinner. For a break from the buffet, guests can choose to dine at one of three restaurants – an Italian option, an Asian restaurant, and a steakhouse. Reservations are required at these restaurants. As with all Riu resorts, snacks and unlimited beverages and cocktails are available 24 hours a day. Riu Republic’s all-inclusive pricing also includes most water sports, an introductory scuba lesson in the pool, a gym, volleyball, and table tennis. There’s daily and evening entertainment, plus a nightclub. Visit Riu Republica’s website for more information.